Eduardo de Faria Coutinho's analysis of Grande Sertao: Veredas places the novel at the intersection of experience, literary history, and artistry. Walking the text's balance between the real and the imaginary, and focusing his reading on the thread of ambivalence that snakes its way throughout, Coutinho weaves together the text's dichotomies between ethics and aesthetics, rural regionalism and urb… an universalization, and socioeconomic and psychological epistemologies. 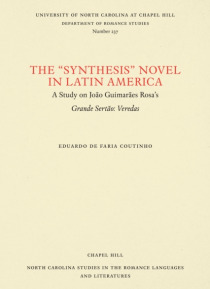 This book also serves to place Grande Sertao: Veredas in the trajectory of the history of the Latin American novel, creating an accessible point of entry to the genre, and grounding the text firmly within the literary tradition.